GET AN OFFER ON YOUR HOME WITH A PRESS OF A BUTTON? 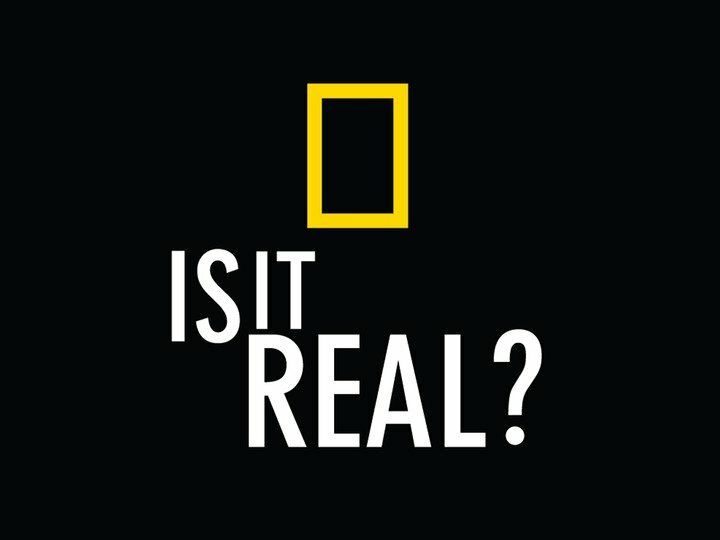 REAL OR TOO GOOD TO BE TRUE? 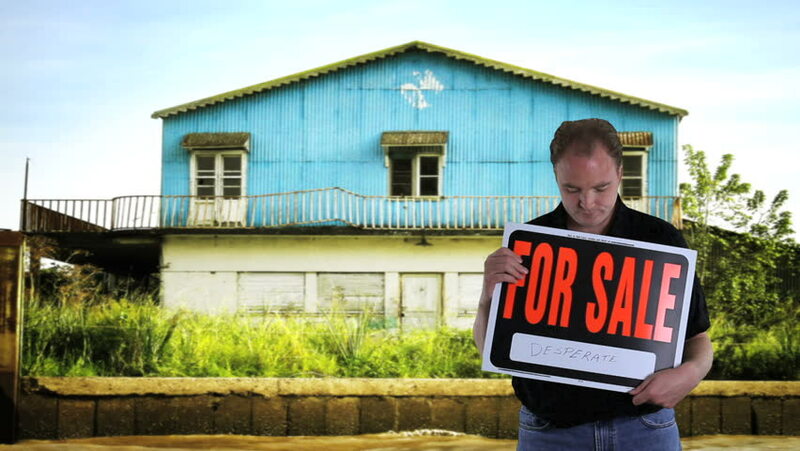 Obviously, some of these signs are a bit sketchy, but they speak to a large and legitimate need – some people want or need to sell their homes fast, and may be willing to offer financial discounts to do so. Enter the rise of the Instant Buyer (iBuyer) and lots of money from New York hedge funds and foreign investors. Some of the most prolific advertisers include OpenDoor, Zillow Instants Offers, Keller Offers, RedFin Now, OfferPad, Knock and Perch. There are over 100 big players in total. Have you wondered if these are legitimate or too good to be true? What are iBuyers and what do they look for? How does the iBuying process look? What kind of clients & situations work best with iBuyers? 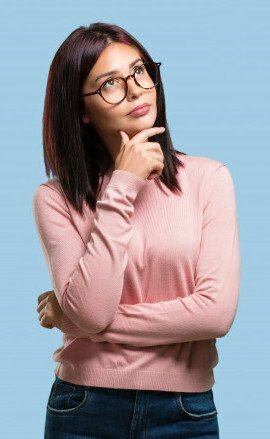 If I’m a seller, which ones should I talk to & which are scams? How do I enter my home’s information to get the best initial price? How do I read their fee structure? How do I best negotiate with them upfront? Common reviews: “Bait & switch.” How do I handle this? Common reviews: “Exaggerated & overpriced repairs.” How do I handle this? Let The Houston Properties Team manage the process for you? 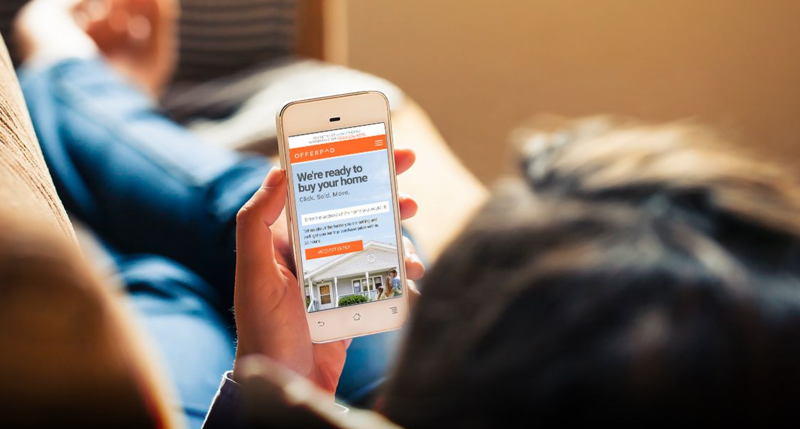 The Houston Properties Team partners with over 100 pre-approved iBuyers (instant home buyers) to connect you with competitive cash offers in their market. Just fill out some information about your home and location and we’ll present you with the best price ranges available from a Simple Sale buyer. Get started on learning how to get the best offers on your property from iBuyers. Fill in the details and let The Houston Properties take care of everything for you. If you type “iBuyers” in Google, you’ll get about 150,000 results. Searching for “iBuyers reviews” yields about 45,000 results. There’s a lot of fear and uncertainty circulating the industry. It’s partly the reason why almost a third of “iBuyer-related” searches are reviews about the product. iBuyers theoretically make cash offers on your home within a few days. This is attractive for sellers looking to make a fast close and avoid stagings, showings, and more. However, it comes with a handful of tradeoffs. There are over 100 companies fighting over the iBuying space. 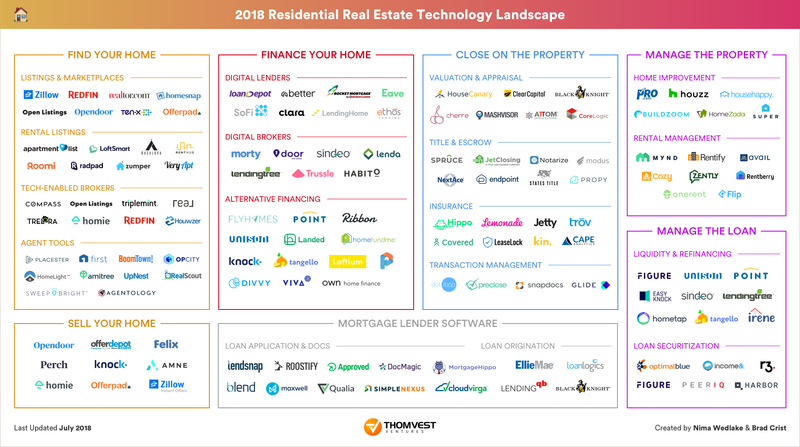 Majority of iBuyers are backed by hedge funds and virtual capitalists who don’t have a lot of background in real estate, as a company (Opendoor for instance has recently raised $2B from investors, mostly New York hedge funds and foreign companies). Decision-makers behind the industry are driven by its revenue per transaction potential. iBuyers can make over $30k per sale from homeowners looking for an easy sell, a lot higher than what traditional agents earn. The business model thrives on “fast transactions”. To generate profit, iBuyers need to purchase homes at a discount and relist them at a higher price. Volume is key, so iBuyers need to move quickly, buying and selling homes in as little time as possible. Shortcuts are sometimes taken to facilitate faster transactions. Most iBuyers will bypass house inspections, valuing your home using a proprietary valuation model. Most of the process is automated. According to Offerpad, only 10% of home valuations are actually done by people while the rest are handled by machines. There is no single-person that represents the seller. All decisions are made by the homeowner alone. Is The iBuying Process Complicated? To get started, a seller needs to fill up an online form with around 10 to 15 questions – for EACH iBuyer platform. The form collects details about the size of your space, number of bedrooms and bathrooms, any major improvements, special features, and mechanical and structural issues. Some platforms require photos, others will crunch figures solely based on what the seller is able to manually input. The iBuyers then calculate your home features alongside comparable properties, tax rates, and other factors. These are crucial details crunched by computers to calculate your offer, all without having seen your house or its upgrades. Within minutes or a few days, you get an instant offer via email. Should you accept, some iBuyers will send an agent to conduct inspections on your home, suggesting repairs that will further eat away at your initial offer. If a seller wishes to compare offers from other iBuyers, he must go through the same process with more than a hundred other iBuyer platforms. iBuyers differ in packages and not all of them will buy your home. While some zone in on purchasing tear-downs, others select homes in good condition. Some will issue decent offers, while others are infamous for lowballing. The end result is often disappointment: offers that are ridiculously below market value. Opendoor reviews and Zillow Instant Offer reviews are rife with disgruntled clients who feel like they were low-balled by iBuyers who missed crucial details about their properties. companies taking advantage of sellers who know very little about selling their homes. Since the business model relies on volume, iBuyers typically turn away from homes that need a lot of work. Their systems are set up to focus on properties that can sell fast on the open market anyway (i.e. sellers with good homes that need money fast). Most iBuyers have very specific criteria that help weed out bad investments. These requirements vary from iBuyer to iBuyer, but here are a few criteria the typical iBuyer system will use to classify “not so good deals”. NOT ACQUAINTED WITH REAL ESTATE: Some iBuyers do not require selling agents to represent sellers, leaving them vulnerable and lacking leverage. Without the guidance of an agent, sellers perform poorly in negotiations, taking whatever is on the table. HAVE A SENSITIVE TIMELINE: For some sellers, a solid closing date is much more important than how much they get in return. Selling to Redfin Now, Opendoor, or one of about 40 iBuyers may allow the seller to pick a specific closing date (assuming there are no hiccups during the closing process). VALUING CERTAINTY OVER OFFER PRICE: iBuyers target sellers who want to avoid buyer contingencies or financing falling through. WANTING TO SKIP THE LEGWORK: Selling to an iBuyer allows you to bypass staging, repairs, and marketing. It is highly recommended for sellers to seek representation when coordinating with an iBuyer. iBuyers are not realtors, hence, they are not bound by the fiduciary duty to get you the most money for your home. We’ve handpicked reviews to highlight common issues customers experience with iBuyers to help you make an informed judgement. A forewarning: Yelp was accused of hiding reviews for Opendoor and OfferPad, making it difficult for sellers to compare iBuying programs with traditional brokerages. However, we’ve done our best to scour the web for iBuyer reviews, and we’ve collected quite a handful. Many of these firms specialize in different types of home, age of homes and/or neighborhoods. Also, if you google things like “Offerpad reviews” or “Opendoor reviews” you’ll find that feedback is usually fairly similar. Some iBuyers require you to take photos of your home to aid in valuation. This is a good opportunity to showcase special features or details you feel they were unable to cover in their initial rundown of questions. These factors are crunched by computers using proprietary home valuation and predictive market analysis technologies to give you an offer in a few minutes to a few days. There’s one important skill to get the most out of iBuying: You Need To Fill Up Forms Diligently. You need to have all of the details, upgrades, and issues you’ve had on your home by memory, or have all the documentation that supports this on hand to avoid mistakes. To get an offer, iBuyers need comprehensive information about your home. Before filling up valuation forms, it pays to know the nitty-gritty of your property so you can accurately describe its features. Good camera and lighting are essential. Snap photos in the afternoon with curtains drawn for natural lighting. Focus on capturing special features, updates, and remodeling including pools, garages, car ports, recreational rooms, basement, appliances, countertops and flooring with high-end material, detailed moldings, etc. To get the best initial price, it is best to compare offers with other iBuyers. Note that some iBuyers are more partial to your type of home than others (e.g. while some specialize in condos, others focus on single family homes). As Realtors, we list and market homes every day. We know what buyers are looking for and how to highlight your property in the most favorable light. Our photography, attention to detail, and descriptions allow us to secure competitive offers. Submit your home to the Guaranteed Purchase Partners that have shown the highest willingness to pay for properties like yours. To easily compare offers vs. a traditional listing, click here. How do I read the iBuyer fee structure? An Atlanta agent requested offers for his newly renovated home with Knock, Opendoor, and OfferPad to compare offer prices. His property was appraised at $495,000 but offers ranged from $265,000 on the low end to $373,000 on the high end. This is just the initial offer he received, but since he has limited options, he’s starting the negotiation at the position of weakness. To get the best price from iBuyers, you need to get more offers. The only way to get more offers is to try as many iBuyer platforms as possible. Once you agree on an offer, a number of deductibles come into play. iBuyers charge sellers transaction fees as high as 7% to 13%. This fee depends on a number of factors, including but not limited to how long it takes to sell your home to the risk of your home’s resale and holding costs. Other fees involved include repairs, title insurance, escrow fees, HOA transfers fees, taxes, document transfers and other customary fees. It is highly advised for sellers to compare offers from other iBuyers if she intends to get the best ROI. How do I negotiate with iBuyers upfront? Some sellers allow you to negotiate their initial offer, while others have more of a “take it or leave it” approach. Typically, iBuyers issue offers 2-3% lower than what you would get if you sold traditionally with an agent. Fill up your valuation forms diligently. Failing to detail critical house upgrades and improvements can significantly lower your initial offer. Submit to iBuyers who have the highest willingess to purchase your home. There are more than 100 iBuyers to choose from. We can direct you to Guaranteed Purchasing Partners who can give you the highest offers. Compare offers vs. a traditional listing right here. Seek the help of an expert realtor. Some iBuyers allow renegotiations when the seller feels their property has been valued wrongly. We can help you coordinate with the iBuyer and make sure that offers factor in all house upgrades and improvements. Opendoor reviews, Offerpad reviews, and RedFin Now reviews are rife with customers who claim to have fallen for their “bait and switch” methods. After being issued your initial offer, the company subtracts a number of deductibles from this starting amount, including repairs, title insurance, escrow fees, HOA transfers fees, taxes, document transfers and other customary fees. An iBuyer that knows he’s being shopped or traded for an open market is more likely to offer you solid prices for your property. A lot of Opendoor reviews complain about unnecessary and overpriced repairs that eat away from their initial offer. Seeking the help of a realtor to coordinate with an iBuyer at this point grants him leverage and security. There are more than 100 iBuyers and not all of them employ bait and switch tactics. As experts in real estate, we can help you select the legitimate ones with the highest willingness to pay for your property. Compare cash offers vs. traditional listings here. Complaints about overpriced and unnecessary repairs are all to common in Opendoor Reviews, Offerpad reviews, and RedFin Now reviews. 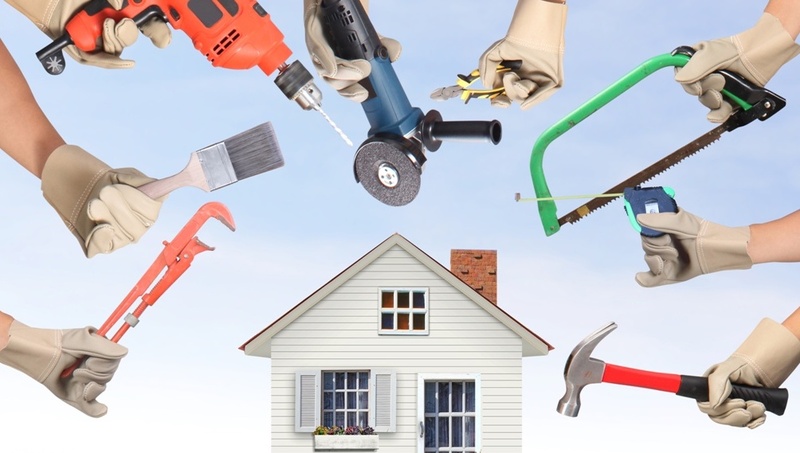 All of these repairs are deducted from the seller’s initial offer if the seller doesn’t volunteer to do them herself. Sellers who are not certain if they’re being issued fair repair requests will benefit from an expert realtor who can ascertain that repairs suggested are well-grounded and fairly priced. We can guide you through the entire iBuying process while showing you all of the offers available in the market vs. a traditional listing. “When iBuyers compete, you win.” We can help get you 4-5 offers so you can select the best one. If you don’t like any of the offers, we can still help you list in the open market. Currently, we are aware of over 27 different iBuyer platforms (firms like OpenDoor and Zillow are investing the most in marketing, but many others are similar). Some specialize in condos, others in single family homes. Some want to buy properties in the Inner Loop, while others look for properties in the suburbs. We can submit your home to the Guaranteed Purchase Partners that have shown the highest willingness to pay for properties like yours. Valuation forms are around 10-15 questions long, with some iBuyers requiring you to snap photos of your property. To get the best offers, it pays to be precise with descriptions, taking into account house features that are likely to bump up the offer price. Our flair for photography, attention to detail, and mastery of real estate language will allow us to present your home in the best possible light. The largest complaints against iBuyers come after sellers are under contract with them “close to closing”. This is when iBuyers try and re-negotiate the price based on repairs and other closing costs. When we submit your information, these iBuyers will know that you have other options and their “take it or leave it” style won’t be effective. Get Started With iBuyers Now! Some sellers reportedly receive impressive initial offers, only to have the agreed upon price retraded once they go under contract due to requested home improvements. Others report to have “exaggerated and overpriced” repairs that eat away from their initial offer. “Sellers beware! 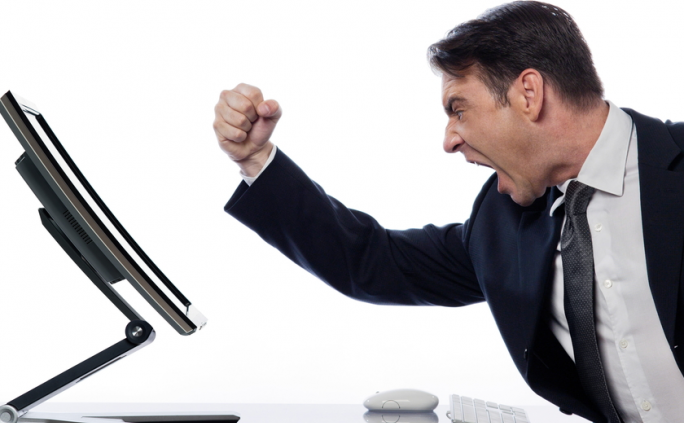 From a colleague: I was trying to work with a client regarding selling their house, they keep canceling our appointments and ended up selling to Offerpad/Zillow. They sent me the Offerpad offer, I was shocked! They lost some much money, let me break this down. Offerpad offered $405,000.00 to buy their house. Then they charged the seller, $30,375.00 for a Buyer Service fee(not sure what that is), $8100.00 in closing cost, which left their net proceeds $366,525.00. Their house was in incredible shape and highly upgraded in every room. Offerpad then put it right back on the market for $465,000.00, it sold for $459,000.00 in 11 days. That is a 9.5% commission/closing cost to the seller to pay Offerpad and a huge profit of $92,475.00 for Offerpad in less then 30 days! This is crazy!!!!!!! I could have gotten the house sold in a very quick time, saved them 3.0% of the commission/closing cost and that extra $92,475.00 would have went to my seller.” – Ellen Burton, Facebook.com. “For years, homebuyers and sellers have been lured by the Zestimate, Zillow’s estimation of a property’s value. What real estate pros know is that Zestimates aren’t accurate. Zillow’s Zestimate is “calculated from public and user-submitted data, taking into account special features, location, and market conditions” and is what Zillow calls “a starting point.” And according to Stan Humphries, creator of the Zestimate home valuation and Zillow Group chief analytics officer, the error rate is about 5 percent nationwide. Zillow, in an indirect affirmation of the problem, has launched a competition to create a better valuation model. So, for now, skip the Zestimate. With any valuation model, you should find out what factors are part of the equation. At minimum, you want official filed records and recent sold prices of comparable homes in the neighborhood. For the most accurate evaluation, nothing beats an in-home consultation by a local agent. Because the home is unique. There may be upgrades, layout features and other factors that can have a direct impact on a home’s market value. “If a home does not need a lot of work and is “near market ready,” those are the homes that sell the fastest and for top dollar! Also, with ‘every sale’ you have the ability to control and negotiate the timing and closing dates. Once again, this business model from Zillow Offers to Offerpad and the like is built on the premise that you ‘can’t sell quickly’ in the traditional market and that you ‘might consider taking less on your home’ not to show it or deal with the ‘trouble’ of being inconvenienced. For me, to be able to walk away with an additional 10%-15% on my home personally at closing, ‘trouble me all you like!’” – Hank Bailey, Good News For Sellers: Zillow Is Buying Homes. Is it good news though? “When I received the inspection report and new offer, everything changed! First they provided an offer which was based on the first inspection, not the second inspection. I told them the problem and the realtor who gave me the offer ignored what I said. The Zillow representative stepped in and was professional and said they would stop and investigate the issue. One day later they said they were firm on the price. They dropped the offer by $30k and ironically said the air conditioner didn’t work. They wanted $4000 to replace the outside unit. The reduced price did not match the cost of repairs. However the inspector took pictures showing temperatures and showed that the AC worked, but later documented that it didn’t work. First we have to understand that I had the thermostat set for 88 degrees (the outside temperature was 110F). The output from the AC will only drop a percentage of the ambient temperature. I think they were expecting an output of 50 degrees or so. I argued with them on the condition of the AC even though pictures showed it was clearly working, but they wouldn’t budge on their ruling. So they thought I would go for it but I didn’t. They thought I wanted to quickly unload the property but I didn’t. “This organization is very close to committing fraud. I’m surprised there hasn’t been a class action lawsuit by now. I wish someone had put this post here before I pulled the trigger and went with Knock.Com. Their “business model” ensures that you pay triple the costs of using a traditional broker. They say on their website, on social media, on the phone and in emails that they pay for the mortgage and utilities on the new place, while you pay the mortgage and utilities on your old place until it sells. And all they ask is the real estate commission on both sides of these transactions. Wow. What’s the catch? What’s the catch? What’s the catch? I asked that question 20 times before I signed on the dotted line. Then here it comes. First, I find a place I want. It’s time for earnest money. But I’m not the buyer, remember? Too bad. I’m on the hook for that and I haven’t even sold my home yet. Pay utilities at the new place while you pay at the old? Try you pay for BOTH at the same time. They are SURE they mentioned that to you…don’t you remember? Lastly, you pay closing costs as the seller, closing costs when they are the buyer and closing costs when you buy from them. Ain’t this fun? Here’s an article that you should read closely…because the representatives at Knock will NOT tell you these things until the ball is in motion:” Better Business Bureau, bbb.com.